Google+ Hangout on the Air - October 22 at 6pm PST/8pm CST/9pm EST - who is nicka smith? Join genealogists and family historians as they discuss their insights following episodes one to five of the groundbreaking Dr. Henry Louis Gates PBS show, Finding Your Roots. Have you caught one or more episodes of the latest genealogy show, find Finding Your Roots? If so, help join me and other genealogists and family historians for a discussion about the first five episodes through a Google+ Hangout on the Air on Wednesday, October 22, 2014 at 6pm PST, 8pm CST, and 9pm EST. Another Hangout discussing episodes six to ten will take place on Wednesday, December 3 at 6pm PST, 8pm CST, and 9pm EST. 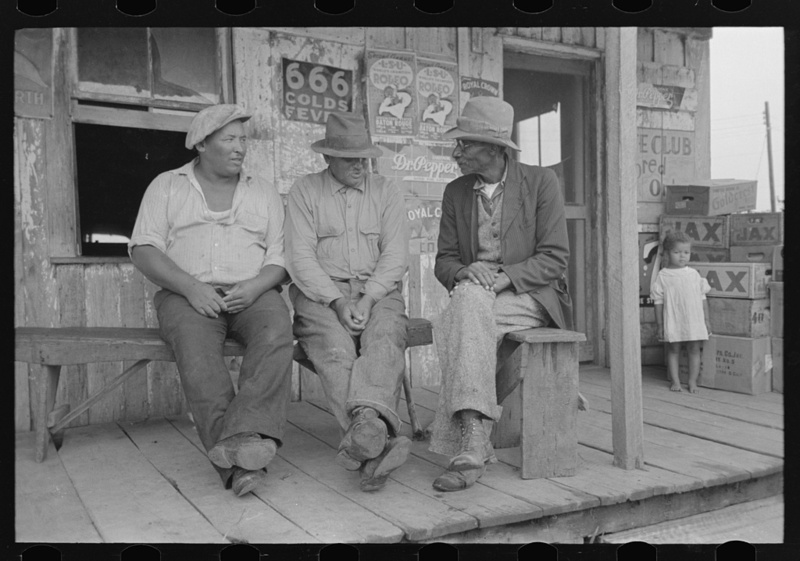 Featured image: [Untitled photo, possibly related to: Negroes talking on porch of small store near Jeanerette, Louisiana], October 1938 by Russell Lee. Source: Library of Congress.